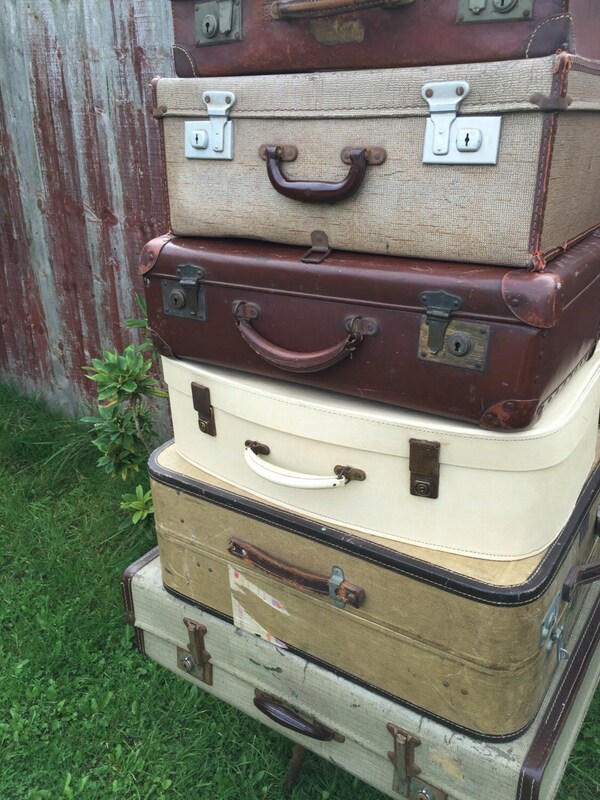 Custom sourced shabby VINTAGE RETRO suitcases make great storage solutions and look great stacked for interior design and make great coffee tables, side tables or bedside tables. 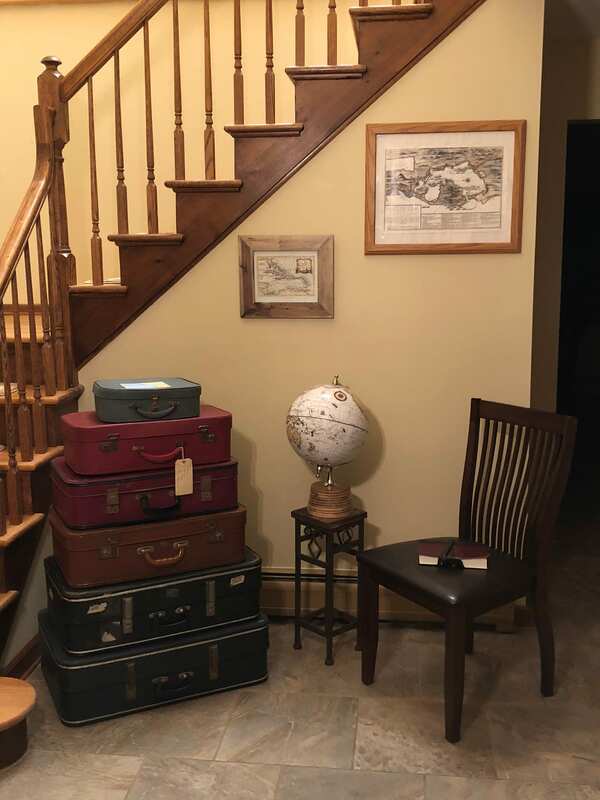 They can also be used as photo booth props and photography props for backdrops, shop display, window display or as a home decor and interior design arrangement. 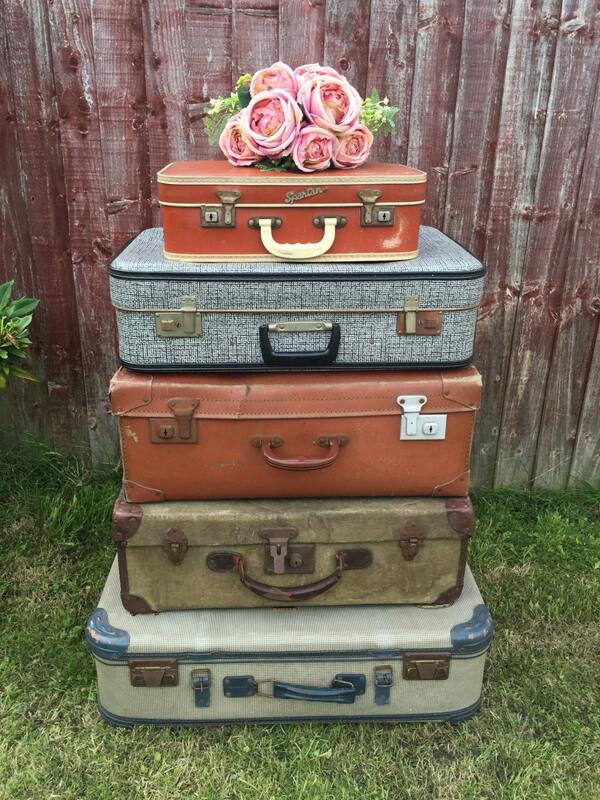 Old suitcases also make lovely decorations for vintage, rustic or shabby chic themed weddings and have been very popular props for Theatre productions. 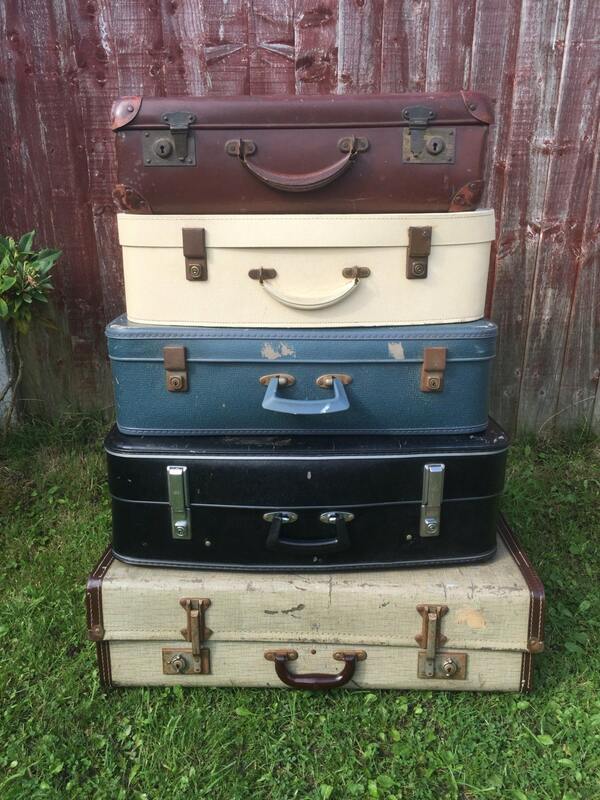 + This listing is for a selection of either 3, 4, 5, or 6 vintage suitcases in a variety of colours and finishes. 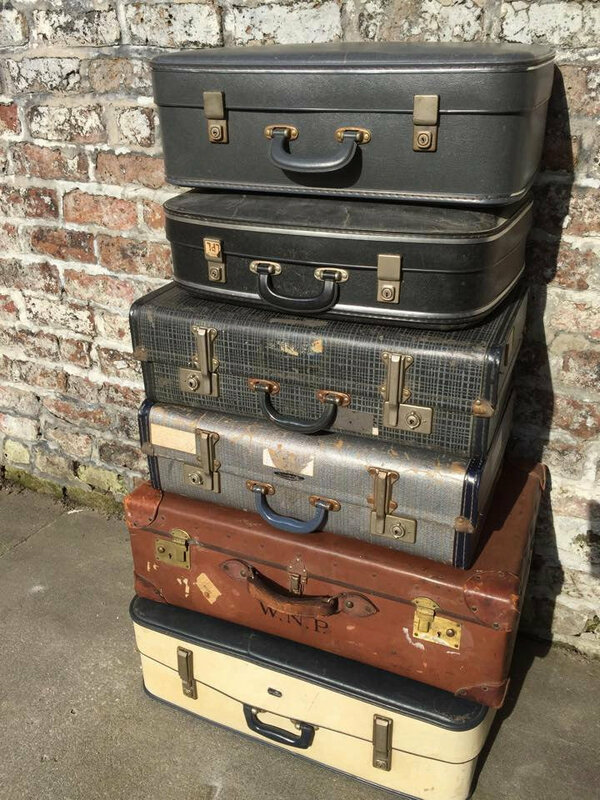 + I custom source vintage cases to order with a MIXED assorted blend of colours which could be CREAM, BROWN, NAVY, BLUES, TEALS, BLACKS, GREYS and GREENS, that will stack nicely as an arrangement. If you have a preference or would like other colours please leave in note to seller or message me prior to purchase. 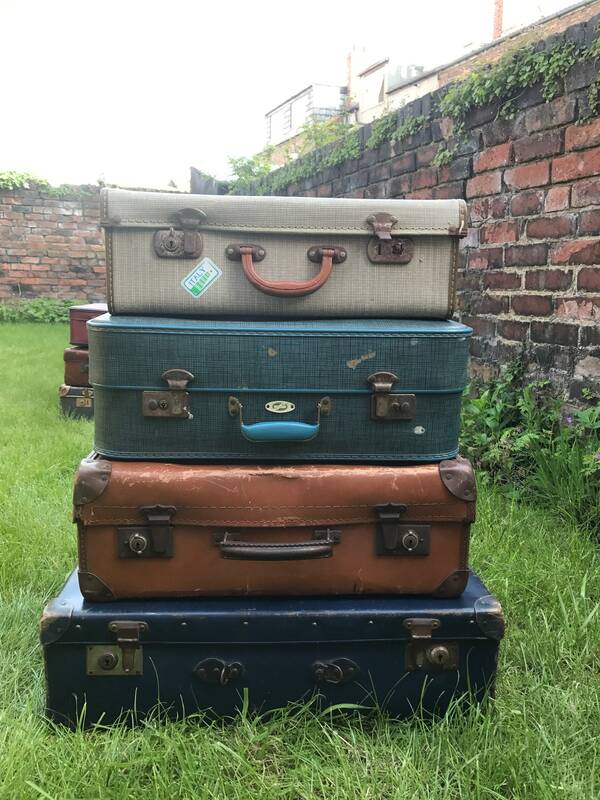 PLEASE NOTE: If you have very specific colour or size requirements please convo me before purchase as this listing is for assorted suitcases and it depends on what stock comes in. Images are examples of past orders I have put together for clients using the stock that was available at the time. 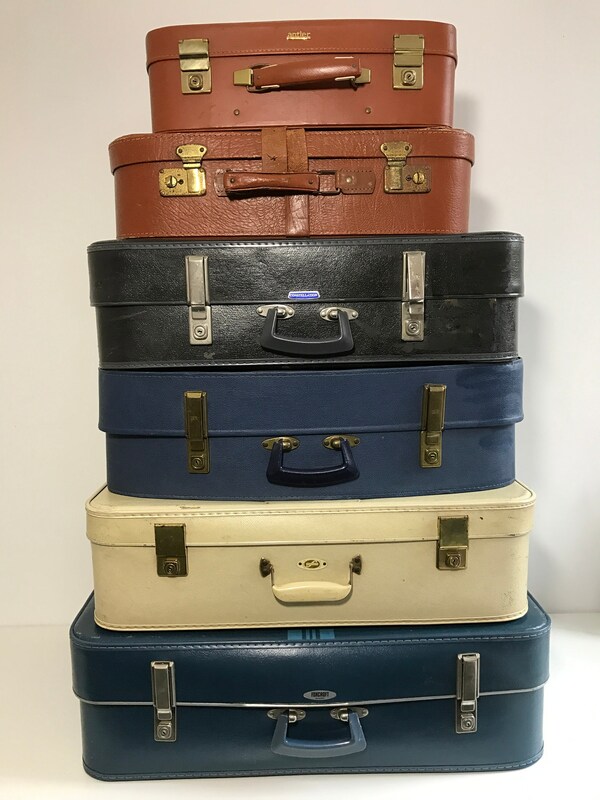 All vintage cases are cleaned polished externally and wiped over internally and are in a fair condition for their age, they are however vintage and as such show signs of aging with wear and tear, which adds to their beauty as individual items. 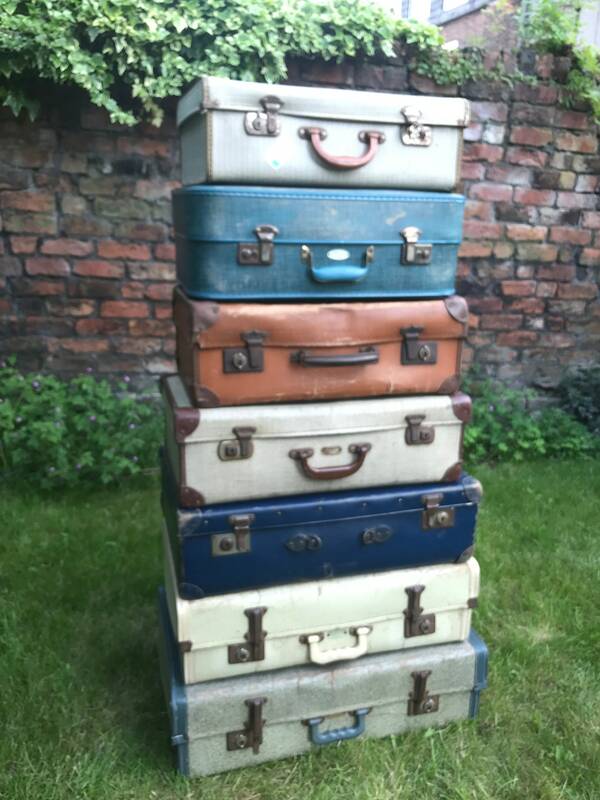 If you are looking for designer quality suitcases please see my individual listings. 3. 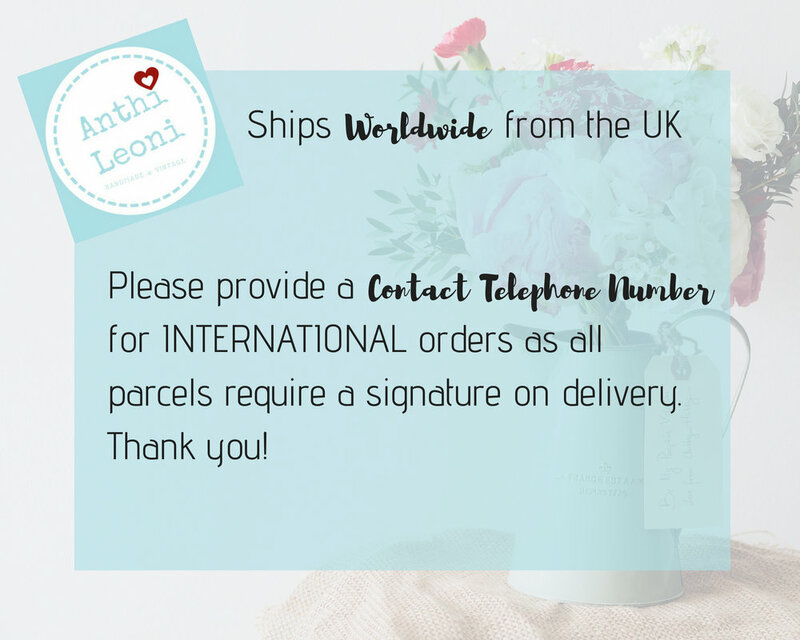 Please provide your contact telephone number in the note to seller or convo me as INTERNATIONAL orders cannot be shipped until one is provided. 4. 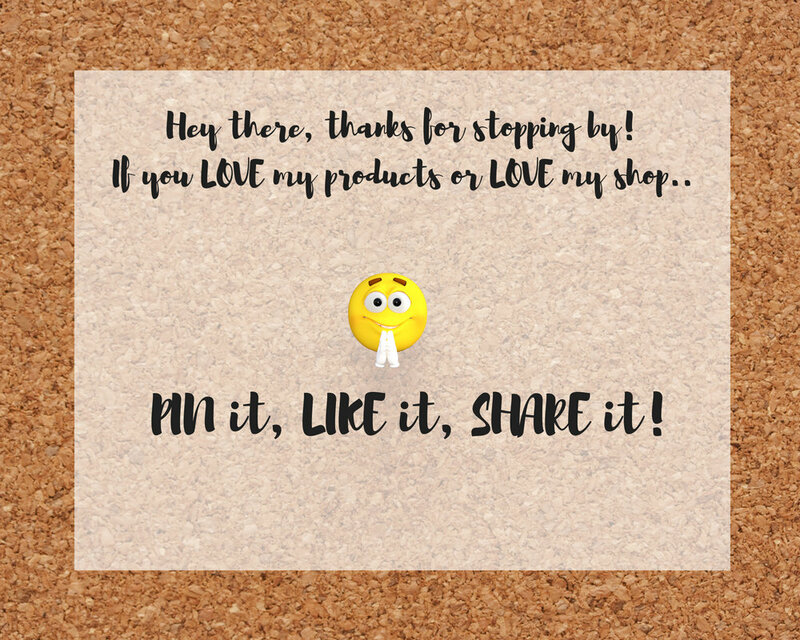 Please put any preferences in the note to seller. 6. Simply complete your purchase and await your delivery. Turnaround time is 1-3 weeks on this product. If you require quicker please convo me or request expedited shipping and let me know the date you need them by so I can arrange for you.